Monday was the last chemotherapy appointment of Eva’s two-plus year cycle of leukemia treatment. And because the doctors don’t need to administer chemotherapy through Eva’s port any longer, they’ll surgically remove it from her chest on Friday morning, January 11. And then on January 18 we won’t give Eva a morning dose of home-administered chemotherapy drugs. The whole phase of active treatment will be over. Monthly checkups will be on the calendar for a time, then bimonthly, then quarterly, then annual. The whole thing gradually fades into the rear view mirror. I’ll admit to feeling a bit of anticlimax in the days and weeks leading up to Eva’s last chemotherapy appointment. The diagnosis of cancer was such a precipitous occasion it warranted the all-out effort any crisis deserves. But the conclusion of what had become a new normal hasn’t had quite the sense of bigness to it. The day seemed to be suddenly upon us and the moment we had been waiting for just came and went. Audra took Eva to the clinic for her last appointment while I came a bit later with the rest of the kids in tow. Lily had prepared a large, hand-drawn sign for Eva that said, “Eva’s Done!” Theo and Clara “drew their names” on it as well. We got a big mylar balloon and then went to surprise Eva at the clinic. Our plan was to surprise her during the end-of-chemo ritual at Rady Children’s Hospital in which a team of nurses sing “No More Chemo For You” to the “Happy Birthday” tune. The patient then rings a bell to signal their completion of the treatment protocol. But because the flu season restrictions were in place (no extra visitors allowed in the treatment area) and because some other patients had more urgent needs, the little ritual took place in a more subdued manner outside on the lovely clinic playground. Four nurses came out and sang the song, Eva rang the bell. She received some gifts. One of the physicians congratulated us. Hugs were offered. Tears were shed. It was a nice moment. Part of me felt as if such an occasion should have felt “bigger” or something, but upon further reflection I can see why it felt the way it did. Normalcy is supposed to feel, well, normal. 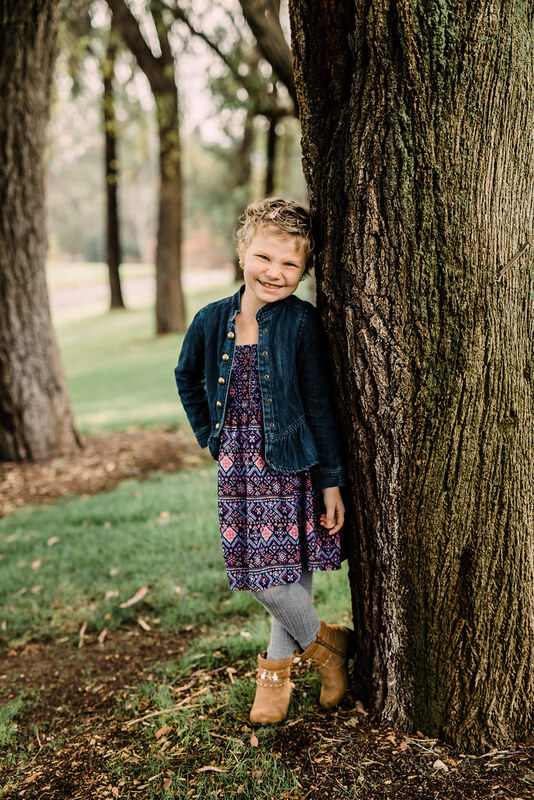 Eva’s diagnosis was the sudden disruption; the treatment has been the gradual restoration — first achieving remission, then maintaining it, then moving on to the healing and growth the follows. More than two years of effort yielded not a sudden jolt but a soft, uneventful landing at the end. I suppose that’s the way you’d want it to end — with a warm hug. A long time ago I wrote about the time Eva and I witnessed another cancer patient hearing the song, “No More Chemo For You.” At the time I called it a look into our future. Eva saw a girl whose body had been visibly affected by the treatment but whose face beamed with the smile of someone whose life had been saved and whose labor was now finished. On Monday that glimpse of the future finally came true for us, too. Sometimes I wonder what the consummation of Christian hope will be like. The change will be dramatic, of course. Christians united to the death and resurrection of Jesus will themselves be resurrected to enter life that is different in quality and quantity. One can hardly imagine a more dramatic change. But maybe it’ll all feel normal somehow? Won’t the resurrection, after all, be a restoration of how things were meant to be from the beginning? Perhaps when we enter the glory prepared for us it’ll be more like a soft landing than a sudden jolt. We have, in fact, seen this future in Jesus. After his resurrection he was recognizable to his friends and seemed to want nothing more than to sit with them, talk with them, and eat some fish. I don’t know exactly what the resurrection will be like, but I do know it will happen. In Jesus Christ we have been given a glimpse of the future and all baptized Christians have received the Holy Spirit as the down payment of a future that will surely come true. Just as it came to pass with Eva as a foretaste, so it will come to pass in an ultimate way. But for now we’ll be content to enjoy Eva’s positively bouncy mood. She knows that she completed a major milestone. She knows that a burden has been lifted. She knows that the load will get even lighter in the next few days. She’s happy and so are we. Thank you for your thoughts and always comparing your journey with a Christian’s journey through life. Prayers answered again.